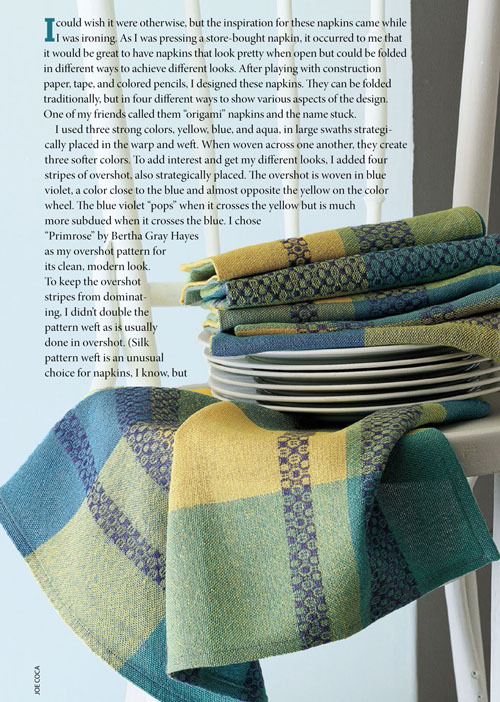 Decorate your home and your wardrobe for spring with these 5 beautiful spring weaving patterns for 4 and 8-shaft looms. 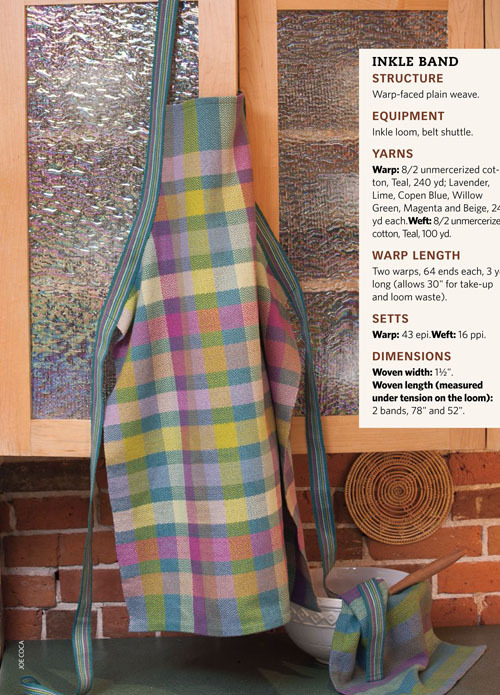 Bring a bit of spring into your step—and your loom—with these 5 projects woven in beautiful springtime palettes and patterns. The 4-shaft and 8-shaft projects in this collection use twill, overshot, and even the Theo Moorman technique to create gorgeous cloth that will make you think of spring all year long. These projects also make great wedding presents or as hostess gifts for spring parties. Weave up some spring today! 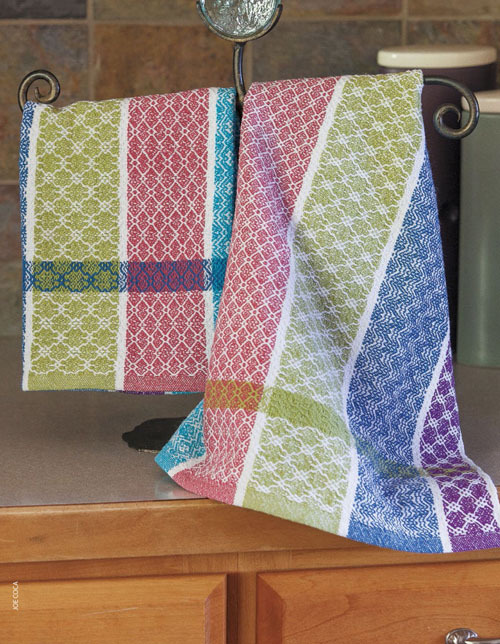 This colorful set of twelve towels uses a different treadling for each stripe of warp color to create vibrant towels with plenty of pattern. 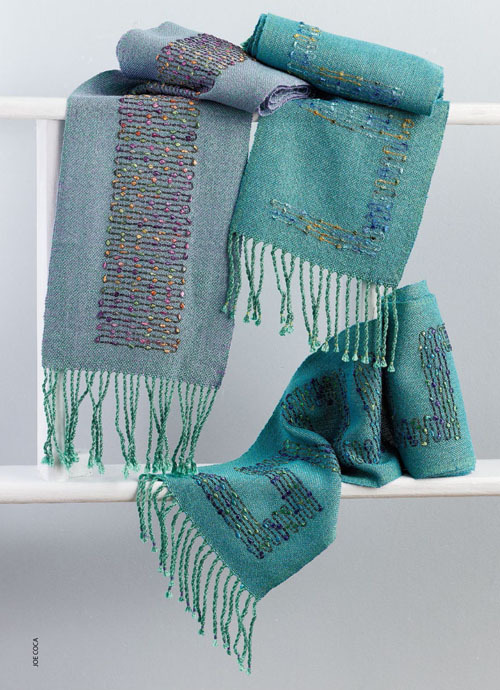 These stunning scarves use color in a clever way to achieve woven iridescence. Ribbon yarn inlay adds extra texture and some bright pops of color to the cloth. These napkins don't just look good open–they can also be folded in different ways to create different effects. A touch of silk in the overshot makes these napkins something extra special. 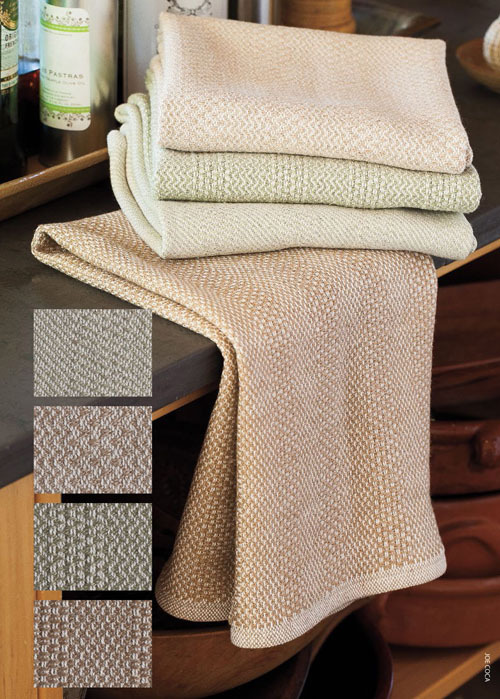 Naturally colored cotton woven in 4-shaft twill makes for a beautiful set of absorbent towels and are completely dye-free. Weave up a set of your own and find your own peaceful rhythm at the loom. Inspired by the colors of beautiful French macarons, this delightful apron and towels set will inspire you to spend more time in the kitchen.